When was the last time you felt frustrated that you weren’t making the most of your time? Standing in line at the dry cleaners, sorting through receipts for your accountant or booking flights whilst the rest of your to-do list rattles around in your head can be stressful and frustrating at times. We all want to be productive with our time. We strive to be efficient but often get bogged down by menial tasks. There are only so many hours in the day and between work life and home life we often lose the chance to be our best selves in a sea of small things that must be accomplished. If you can relate to this, perhaps it’s time to delegate! Whatever your needs, a Personal Assistant could be just the resource to transform your schedule into a sleek, smoothly-running experience. 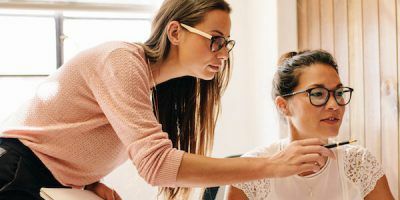 It is easy to get stuck in the mindset that recruiting your own PA is excessive, but a Personal Assistant can be entirely scaled to your needs. Perhaps you need full time assistance, or perhaps you only need help for one or two days a week, or even a couple of hours each day. When the breadth of your schedule is simply spreading you too thinly, hiring an assistant can be viewed as an investment. In fact, professionals often limit themselves by delaying recruitment. Without help they are not able to make the most of their unique skills and propel their business forward. Their failure to delegate leaves them under achieving, and struggling to accelerate their productivity. On a personal level, choosing to hire an assistant can be viewed as prioritising our life experience. A Personal Assistant can free up our time to focus on that which we truly value, be it work, family, creative pursuits, or our own well-being. Ultimately, it is an investment in life balance. So, in essence, if you are spending too much time on menial tasks and administration, you could benefit hugely by hiring a PA.
What can you ask of a Personal Assistant? No two Personal Assistant roles are the same. This role is as diverse and varied as the lives of all of the people that hire them! An assistant may work for a business, a non-profit, a professional individual or a household. Their responsibilities may be office based or more focused on running errands, but ultimately a Personal Assistant serves to coordinate and simplify on behalf of their employer. You can read some examples of potential Personal Assistant responsibilities, but this list is far from exhaustive! A Personal Assistant can be your first line of defence, fielding communication and assessing what to take care of themselves and what to pass on to you as per your own preferences and instructions. This means presenting a consistent and professional face for your personal branding, be it for your business, in your professional capacity or as a private individual. A fantastic assistant will build a strong professional relationship with others on your behalf. A great PA will ensure that details will not be missed, and that someone is focused on meeting deadlines and ensuring that preparations are in place for your aspirations. This could relate to everything from coordinating conferences to getting your car serviced or keeping track of family events. Working with an assistant can also create more order in our own actions as the structure of delegating brings rhythm to the tasks we undertake. It makes sense to give consideration to which areas of your life you wish to delegate prior to beginning the hiring process. Because the role is so varied, it is worth considering what specific skills or qualities will best suit your needs. Is there specific software your Personal Assistant will need to have mastered in order to best support you? Will you want them to have some accounting experience, or perhaps you are seeking someone with a background in Nannying or Housekeeping who can easily take to functioning as an assistant within a substantial household? Take the time to create a list of all tasks you would like to delegate and any specifics that would be advantageous, such as language skills or administrative qualifications. Should they have an assertive phone manner, be comfortable around animals, or be able to help with meal planning? Should they have their own transport, and what level of formality will you require in terms of appearance? The better you know what your own needs are, the more easily you will be able to pair up with your ideal candidate. When you have a clear vision of your perfect Personal Assistant recruitment will be far easier; as it will be far easier to identify the ideal candidate!